Syrian Parliament Speaker is scheduled for a visit to Tehran in the near future, the international aide to Iranian Parliament Speaker said. According to Hossein Amir-Abdollahian, Syrian first female parliament speaker, Hadiyeh Khalaf Abbas, will soon visit Iran at the official invitation of her Iranian counterpart Ali Larijani. He went on to say that during the visit, Khalaf Abbas will confer with Larijani on the latest parliamentary and political relations between Tehran and Damascus. 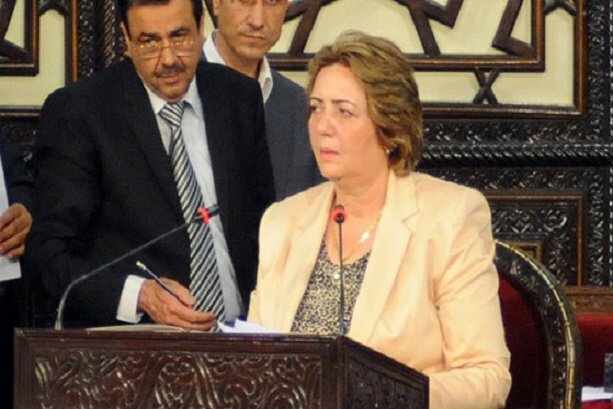 In a historic move for the war-torn country, Hadiyeh al-Abbas was chosen as the first female parliament speaker in Syria in June. The female politician, 58, holds a Ph.D. in agricultural engineering from Aleppo University. She previously served as a member of parliament from 2003 to 2007. Prior to that, she served as part of the governing body of the regional branch of the ruling Arab Baath Socialist Party from 1988 to 1998.